April | 2017 | ECMS Admin Positively Rocks! 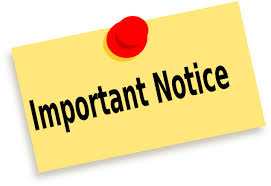 Quarter 4 ½ week Progress Reports will be distributed on Wednesday, April 26th! Parents, be on the lookout! Milestones EOG assessment will conclude on Wednesday, April 26th! 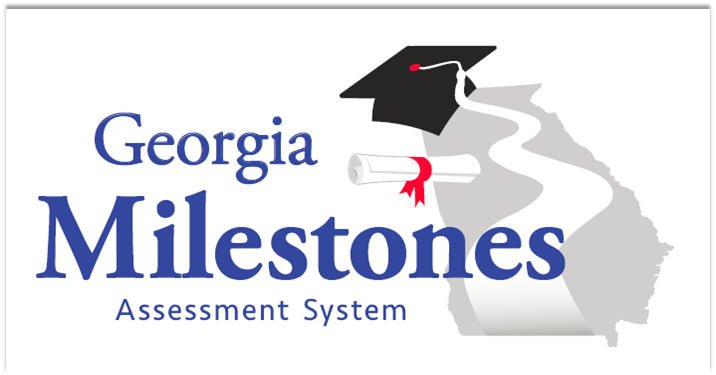 Greetings All… As we approach testing season we’d like to share some information about GA Milestones, test taking tips and a Q&A handout distributed by the Georgia Department of Education! Tips for Students – The following test taking strategies and tips are provided by the GA Department of Education. Prepare yourself emotionally for taking the test. If you are overly anxious, much of your energy and potential will be sapped by the anxiety and you will likely not be able to demonstrate your true ability on the test. It frequently helps to reduce anxiety if you know more about the test in advance, such as what type of test you are taking, what subjects are tested, and the purpose of the test. Follow normal routines. Interruption of normal routines may affect your performance. The night before the test you should not stay up later than usual since fatigue may lead to poor test performance. The day of the test you should eat a normal breakfast and lunch. Skipping meals or overeating before taking a test may adversely affect your performance. Concentrate. Do not allow yourself to be distracted by noises or movements around you. Read instructions or directions carefully before marking any answer. If you do not understand the directions, raise your hand, and ask for help. Follow instructions. Pay close attention to the samples. They are on the test to help you understand what the items on the test will be like and how to mark your answer document properly. Read the entire question and all answer choices. You need to read each item and all answer choices before marking your answers. Make an educated guess. Making an educated guess means that you are able to eliminate one or more choices. For example, if there are four choices and you do not know which choice is correct, but do know that two choices are incorrect; you have a 50-50 chance of choosing the correct answer. You should also remember that there is no pattern of correct answers. For example, if the last three correct answer choices were “D,” the next correct answer may be A, B, C, or D.
Keep track of the time. Since most statewide tests have a time limit, be aware of the amount of time allocated to each section. Pace yourself so that you will be able to complete the section within the time limit. Use all of the time allocated. Persistence pays off. If you are testing online, be sure to use the scroll bars to view all of a reading passage or test question. The whole reading passage or test question might not fit on the display of your workstation. When testing online and where necessary, make sure you transfer your answer from the draft area to the final response section of your online test. If you are testing with paper testing materials, place your answer correctly on the answer document. While taking tests, you should match the number on the answer document to the item number in the test booklet. This is especially important if you skip questions and go back to them later. You should mark only one answer for each item. If two answers are marked for the same item, the item will be counted as incorrect. If you erase an item, you should be certain that it is erased completely and carefully so that holes are not made in the answer document. If you are testing with paper testing materials, keep your test booklet and answer document together. This saves time and lessens the chance of marking answers in the wrong place.